Friesner, Esther. 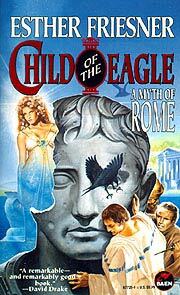 Child of the Eagle: A Myth of Rome . Baen 1996 (Covert art by Gary Ruddell). What if: The goddess Venus appeared to Brutus and convinced him not to kill Caesar. Published: Baen 1996 (0671877259) and SFBC 1996.